Taught “PROPERLY” so the shoulder girdle’s open and therefore supportive. The spine is running – therefore lifting – vertebrae opening, back muscles lengthening, stable and strong. Continuing through the pelvis into the inner leg and feet. 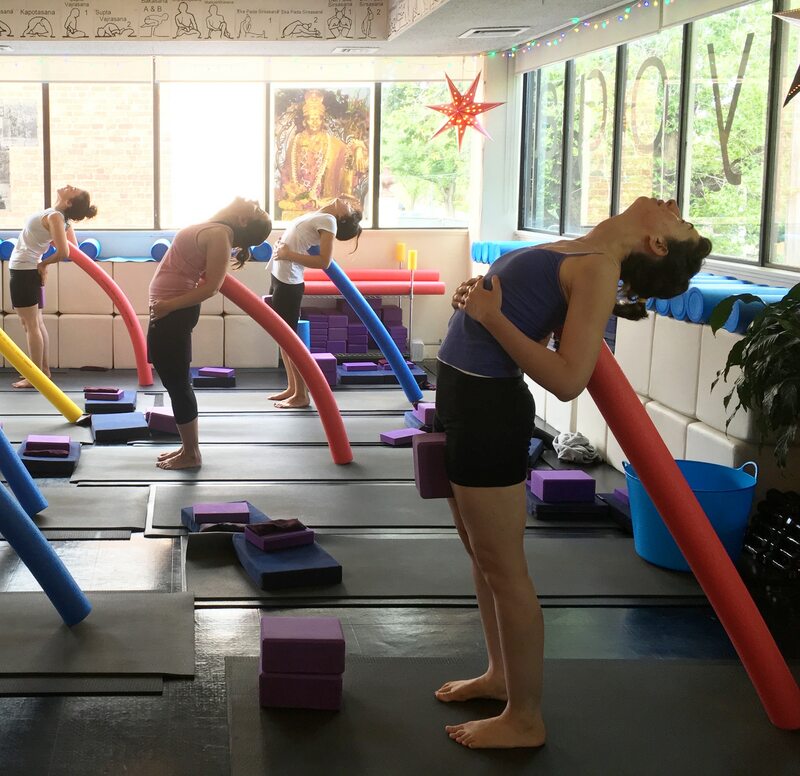 These progressive openings are essential with a strong symmetrical breath, so therefore a headstand practitioner has no undue weight on the head or neck, and enough fire (symetrical breath through the navel and length through side waist, with uddiyanna bandha). So that the posture is light and balanced, and the energy flows to the crown of the head, glands, and energy centres in the skull. The headstand or shirshasana is considered the king of all postures or the most important of the 84,000 postures. Be the king of your universe! The first thing is to see everything from a different perspective, this in itself is a revelation and transformative for the consciousness. Mobility, flexibility, vitality, stability, versatility. with Robert Byrne – Join us now! Join us for a class on Monday 12th June! We’re up and running with Term 3 – but it’s not too late to join us ! Real Yoga allows the REAL YOU to come through. Clear the debris, clear the holding patterns in your mind, body, and in your breath. These patterns are created and perpetuated in day-to-day life, creating restriction, and therefore not allowing your energy to flow and you to experience lightness in your heart and mind. Feel all these levels in yourself, becoming liberated, light and elevated, during class and ongoing after you leave. STARTS NEXT WEEK – Join us for Robert’s Beginners Course! 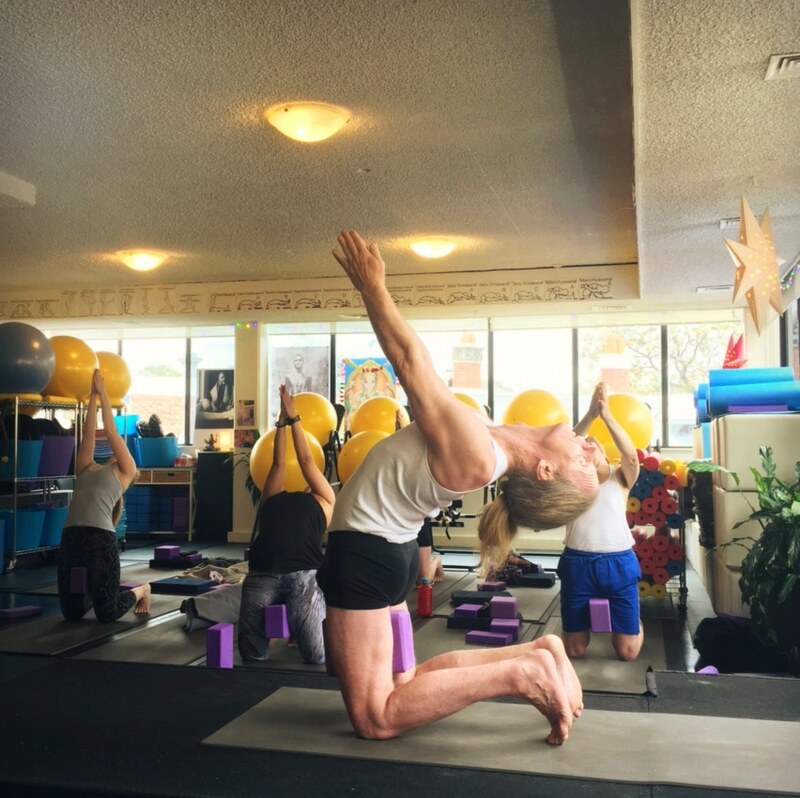 Accessible for everyone and ideal for all students, Robert’s Beginners Course offers a complete yoga practice! 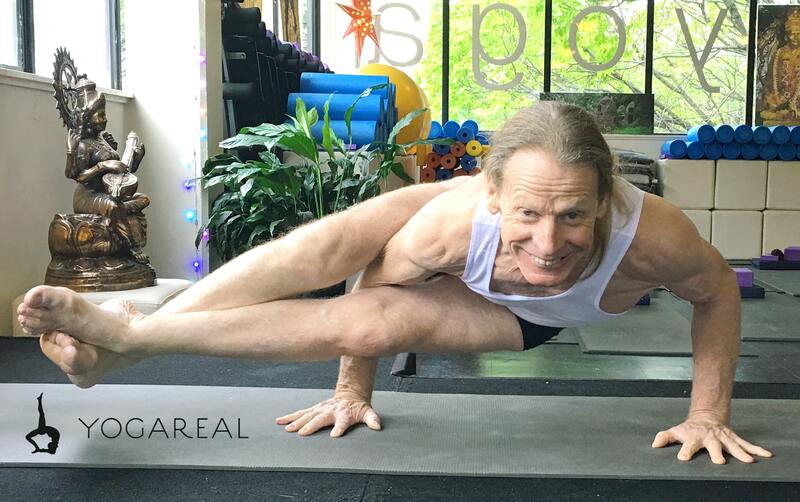 With the support of props and Robert’s innovative techniques, all main styles of yoga and categories of postures are incorporated. You’ll learn how to breathe a full yogic breath, and sit back from the chatter of the mind. Over eight weeks, the body will open, extend, align and become strong. Postures will continually be refined and taken to a deeper foundation point, allowing you to connect to your vital energy. Take the opportunity to feel the best you’ve ever felt – BOOK ONLINE TODAY! 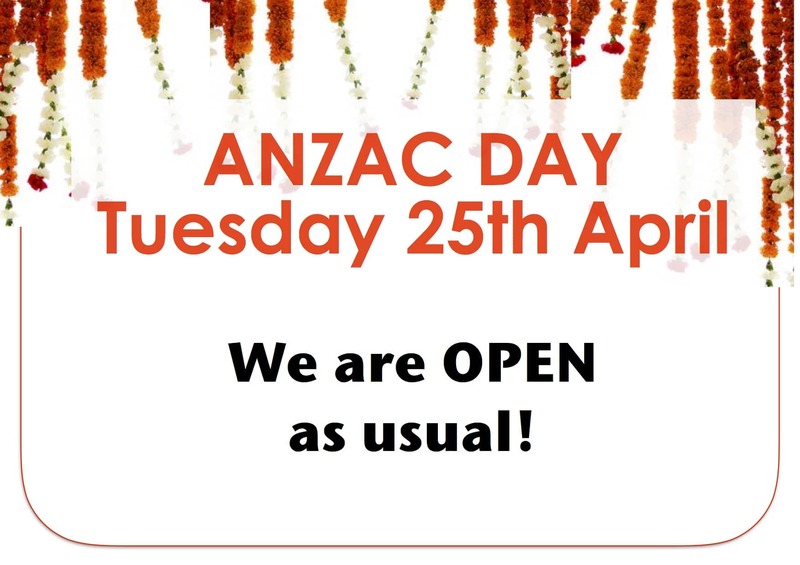 Join us for class on ANZAC Day, Tuesday 25th April. All other classes will NOT run during this time (including the Guru Gita). 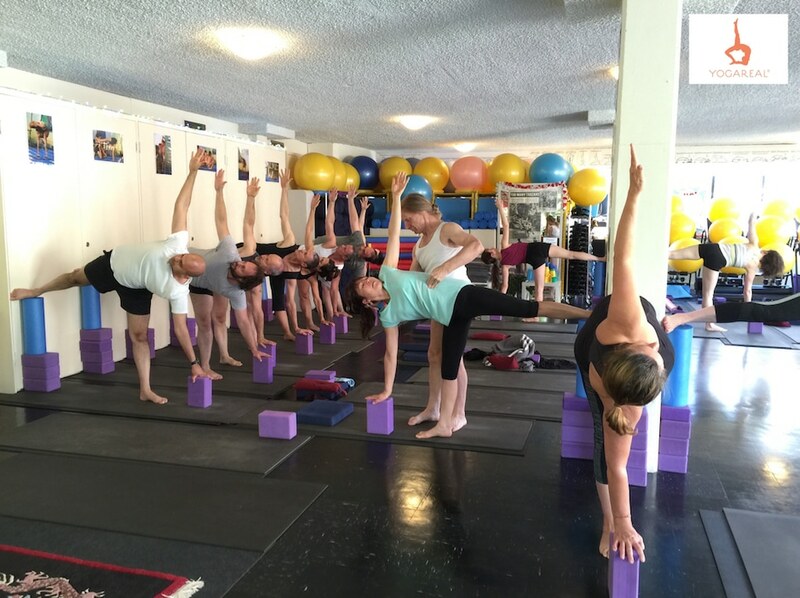 WEEK ONE of YOGAREAL COURSES STARTS TOMORROW! 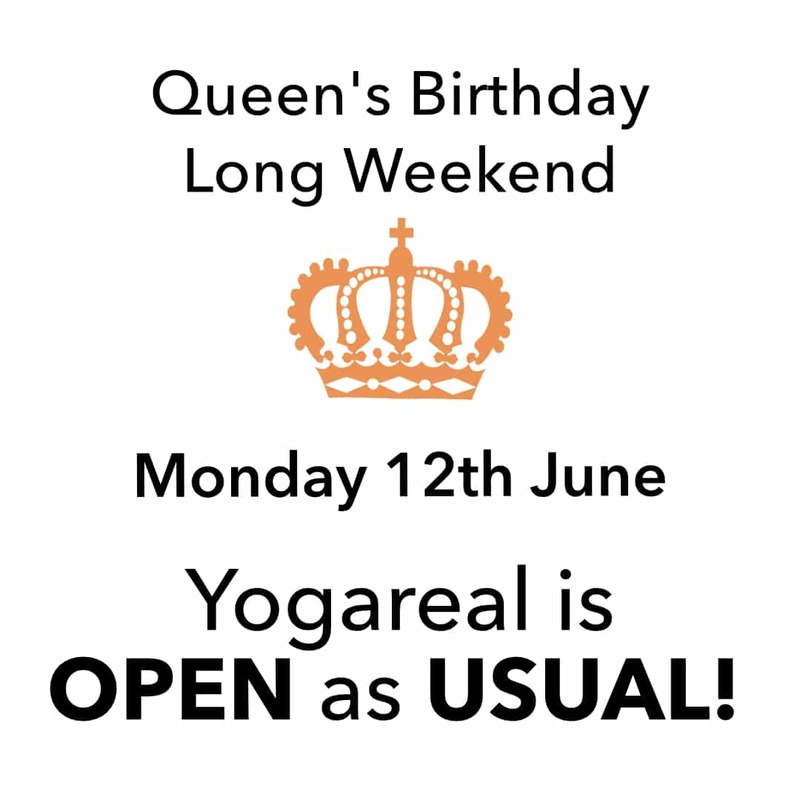 We’re open as usual for Labour Day. 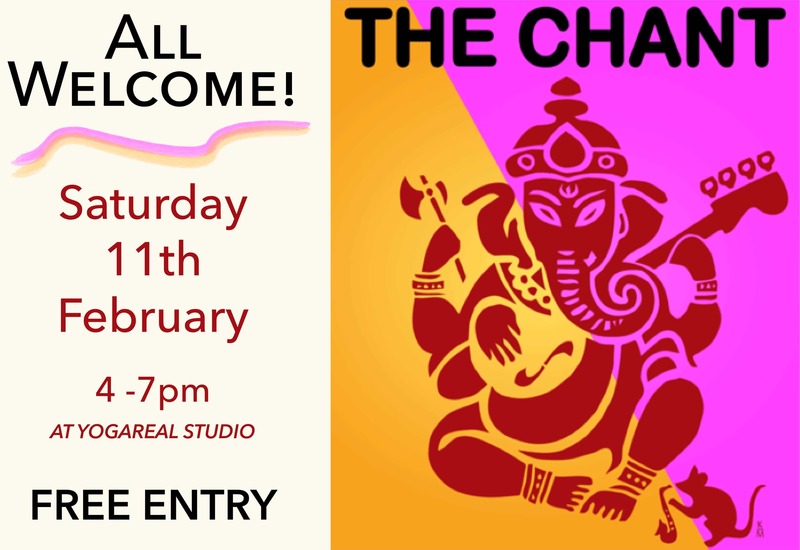 Saturday 11th February, from 4 – 7pm. With free entry and live musicians, EVERYONE is Welcome! Drop by at anytime! 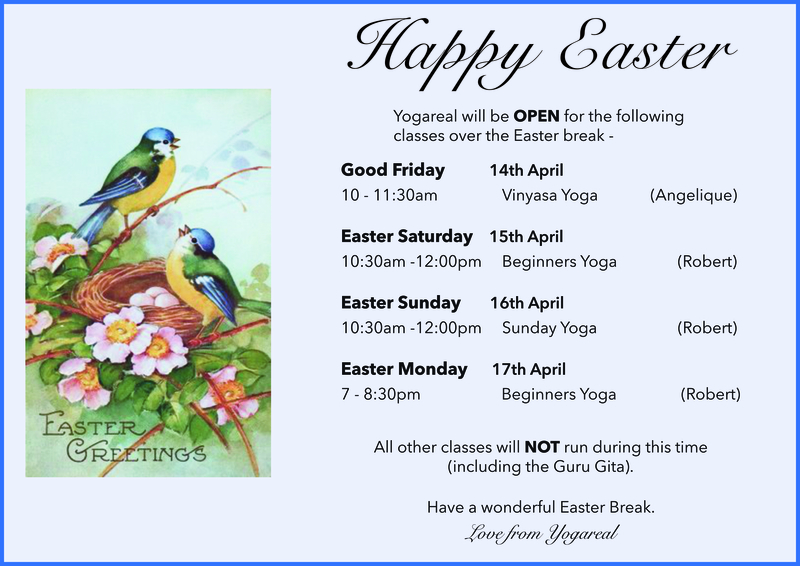 Venue: Yogareal Studio, 45 Victoria Avenue, Albert Park. Classes will run as usual on Australia Day, Thursday 26th January.